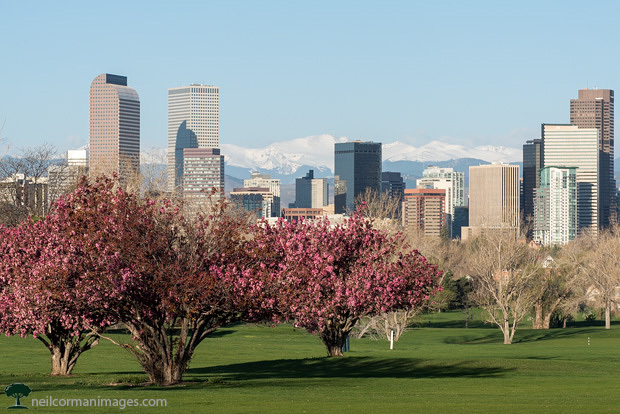 You never know what to expect when spring is around in Denver, it could be 70 degrees one day and snow the next. With this variety this makes it a great time to photograph around the city as the variety in color and potential for the snow in the city or mountains remains. On this day I was photographing around City Park and decided to make my way towards the golf course where I found trees in full bloom. Using this as a foreground I framed the city of Denver behind and naturally the mountains as well for this image.